Stalwart Roofing 100% Satisfaction Guarantee! Stalwart Roofing & Exteriors has been an outstanding provider of roofing, eavestrough, soffit, and fascia installations for 10 years now. Our honest, thorough, and competitive services have earned us a reputation as a good choice for Calgary homeowners. We’re homeowners too, and we want to provide the same kind of respectful and worry free experience we would wish to receive on our own homes. Individual property owners are an essential and valued source of business for us, and we gear our organization to providing to Calgary roofing services that are transparent, worry free, and that will keep your investment protected for years to come. We know your time is valuable, so we’ve streamlined our process to keep things stress free and to take out any of the guess work. 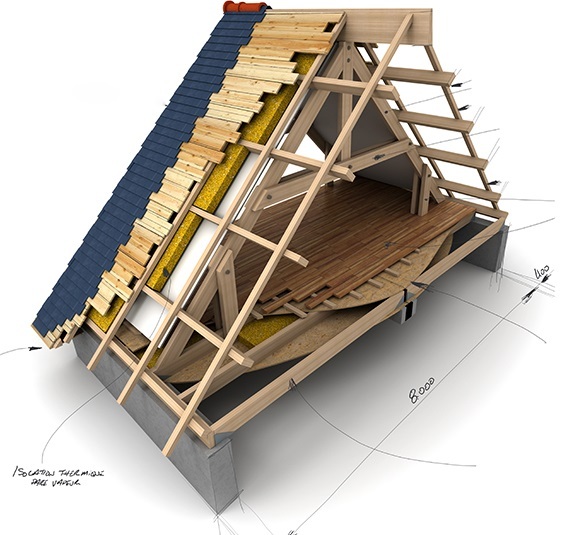 The process of a roof installation on your home can sometimes seem intimidating or like a huge hassle. That’s where our decade of experience in Calgary roof replacement comes into play. It’s that simple. Our processes are proven and effective, our customers are satisfied, and word of mouth keeps growing. Our good name and good reputation are improving with every year as we provide to Calgary roofing and eavestrough replacement services that are affordable and reliable. We are licensed, insured, and we have an A+ rating with the Southern Alberta BBB. 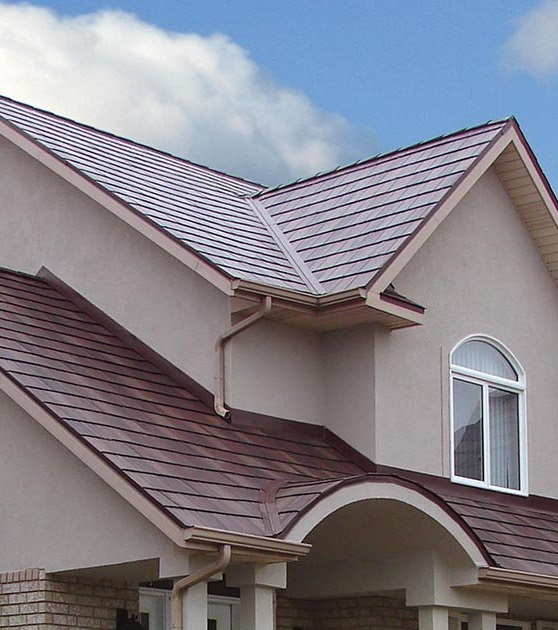 We provide references with our eavestrough or roofing estimate Calgary to Airdrie to Cochrane. If they’re looking for an honest, affordable, and quality roof replacement, Calgary calls Stalwart Roofing & Exteriors! Roofing Calgary, Rubber Roofing Contractor Calgary, Rubber Roofing Calgary, Rubber Roofing Material Calgary, Rubber Roofing Installer Calgary, Roofing Calgary, Euroshield Roofing Calgary,Euroshield Roofing Manufacturer,Euroshield Roofing Contractor Calgary, Green Roofing Calgary,Green Roofing Installer Calgary, Green Roofing Contractor Calgary,Roofing Calgary. We serve all of Calgary and surrounding communities. Give us a call today! Eavestroughs Edgemont, A Roofing Quote Company In Edgemont, An Eavestrough Company In Edgemont, An Eavestrough Repair Company In Edgemont, An Gutter Quote Company In Edgemont, Eavestroughs Evergreen, An Eavestrough Company In Evergreen, An Eavestrough Repair Company In Evergreen, An Gutter Quote Company In Evergreen, Roof Repair Panorama Hills, Roof Replacement Panorama Hills, Panorama Hills Roof Repair, Panorama Hills Roof Replacement, Eavestroughs Panorama Hills, Panorama Hills Roofer, Roofing Company Panorama Hills, Roofer Panorama Hills, Roofing Panorama Hills, Panorama Hills Roof Installation, Roofers In Panorama Hills, A Roofing Company In Panorama Hills, A Roofing Quote Company In Panorama Hills, A Roofing Repair Company In Panorama Hills, An Eavestrough Company In Panorama Hills, An Eavestrough Repair Company In Panorama Hills, An Gutter Quote Company In Panorama Hills, Gutters Airdrie, Green Roofing Installer Calgary, Gutters Chestermere, Gutters Springbank, Gutters Priddis, Gutters Bragg Creek, A Roofing Quote Company In Calgary, An Eavestrough Company In Airdrie, A Roofing Quote Company In Chestermere, Roofing Company Priddis, A Roofing Quote Company In Airdrie, An Gutter Quote Company In Calgary, Roofing Springbank, An Eavestrough Company In Chestermere, An Gutter Quote Company In Airdrie, An Eavestrough Company In Langdon, Roofing Company Springbank, Roofers In Springbank, An Eavestrough Repair Company In Airdrie, Roof Replacement Springbank, Eavestroughs Chestermere, Roofers In Bragg Creek, Eavestroughs Springbank, Roofers In Priddis, Eavestroughs Langdon, Roofers In Cluny, An Gutter Quote Company In Chestermere, A Roofing Quote Company In Langdon, An Gutter Quote Company In Langdon, Roofing Edgemont, Roof Repair Springbank, Roof Replacement Bragg Creek, Eavestroughs Bragg Creek, An Eavestrough Repair Company In Langdon, Roofer Edgemont, Roof Repair Edgemont, Edgemont Roof Replacement, Edgemont Roofer, A Roofing Company In Edgemont, Eavestroughs Priddis, Roof Replacement Chestermere, Chestermere Roof Replacement, An Eavestrough Repair Company In Chestermere, Roofing Radium Hot Springs, Roofing Nacmine, Roof Replacement Edgemont, Roofing Company Edgemont, Edgemont Roof Installation, A Roofing Repair Company In Edgemont, Roof Replacement Evergreen, Evergreen Roof Replacement, A Roofing Quote Company In Evergreen, Green Roofing Contractor Calgary, Rubber Roofing Contractor Calgary, A Roofing Repair Company In Chestermere, Euroshield Roofing Calgary, Eavestroughs Airdrie, Roofing Company Bragg Creek, Roof Replacement Cochrane, Eavestroughs Cochrane, Roof Repair Bragg Creek, Roofers In Edgemont, Edgemont Roof Repair, Roof Replacement Langdon, Langdon Roof Replacement, Roofing Seebe, Evergreen Roof Installation, A Roofing Repair Company In Evergreen, Gutters Cochrane, A Roofing Company In Langdon, A Roofing Repair Company In Langdon, Rubber Roofing Installer Calgary, Chestermere Roofer, Roofing Bragg Creek, Langdon Roof Repair, Roofing Bragg Creek, Roofing Fairmont Hot Springs, Langdon Roof Installation, Roof Repair Priddis, Roof Replacement Priddis, Evergreen Roof Repair, Roofers In Evergreen, A Roofing Company In Chestermere, Roofers In Chestermere, Roofing Chestermere, Airdrie Roof Replacement, Roofing Priddis, Roof Repair Langdon, Roofing Carmangay, Roofing Cluny, Roofing Markerville, Roofing Hussar, Roofing Priddis, Roofing Redwood Meadows, Roofing Bassano, Roofing Dalemead, Roofing Lyalta, Euroshield Roofing Contractor Calgary, Euroshield Roofing Manufacturer Calgary, Langdon Roofer, Roofer Chestermere, Airdrie Roof Repair, Roofer Langdon, An Eavestrough Company In Calgary, Roofers In Langdon, Roof Repair Chestermere, Chestermere Roof Installation, Chestermere Roof Repair, Roof Replacement Airdrie, Roofing Siksika, Roofing Athalmer, Roofing Swalwell, Roofing Cremona, Roofing Lake Louise, Roofing Munson, Roofing Spruce View, Roofing Craigmyle, Roofing James River Bridge, Roofing Kathyrn, A Roofing Company In Evergreen, A Roofing Repair Company In Airdrie, Roofing Company Chestermere, Calgary Roof Installation, Roofing Rumsey, Roofing Beiseker, Roofing Company Langdon, Roofing East Coulee, Roofer Airdrie, Roofing Company Cochrane, Rubber Roofing Material Calgary, Airdrie Roof Installation, Roof Repair Airdrie, Roof Repair Cochrane, Roofing Chestermere, Roofing Delacour, Roofing Irricana, Roofing Granum, Roofing Morrin, Roofing Keoma, Roofing Norglenwold, Green Roof Calgary, Euroshield Roofing Manufacturer, Roofing Crossfield, Roofing Stavely, Roofing Benalto, Roofing Delburne, Roof Repair Evergreen, Roofing Company Evergreen, Roofing Cochrane, Roofing Cochrane, Roofing Langdon, Roofing Langdon, Roofing Trochu, Roofing Elkford, Roofing Pine Lake, A Roofing Company In Airdrie, Rubber Roofing Calgary, Roofers In Cochrane, Roofing Tsuu T Ina, Roofing Aldersyde, Roofing Elnora, Roofing Company Airdrie, Airdrie Roofer, Roofing Huxley, Roofing De Winton, Roofing Springbrook, Roofing Drumheller, Roofing Rocky Mountain House, Roofing Turner Valley, Roofers In Airdrie, Roofing Condor, Roofing Carstairs, An Eavestrough Repair Company In Calgary, Roofing Invermere, Roofing Red Deer County, Roofing Millarville, Evergreen Roofer, Roofing Evergreen, Gutters Calgary, Roofing Big Valley, Roofing Penhold, Roofing Milo, Roofing Vulcan, Roofer Evergreen, Roofing Vulcan, Roofing Vulcan, Roofing Airdrie, Roofing Leslieville, Roofing Claresholm, Roofing Airdrie, Eavestroughs Calgary, Roofing Balzac, Roofing Water Valley, Roofing Alhambra, Roofing Olds, Roofing Caroline, Roofing Didsbury, Roofing Blackfalds, Roofing Innisfail, Roofing Stauffer, Roofing High River, Roofing Rowley, Roofing Strathmore, Calgary Roof Replacement, Roofing Windermere, Roof Replacement Calgary, Calgary Roof Repair, Roofers In Calgary, Roofing Halfmoon Bay, Roofing Jarvis Bay, Roofing Brant, Calgary Roofer, Roofing Canmore, Roofer Calgary, A Roofing Repair Company In Calgary, Roofing Bentley, Roofing Lomond, Roofing Black Diamond, Roof Repair Calgary, Roofing Sylvan Lake, Roofing Calgary, Roofing Edgewater, Roofing Okotoks, A Roofing Company In Calgary, Roofing Company Calgary, Roofing, Roofing Gem, Roofing Lousana, Roofing Champion, Roofing Parkland, Roofing Morley, Roofing Banff, Roofing Madden, Roofing Barons, Roofing Eckville, Roofing Birchcliff, Roofing Delia, Roofing Dorothy, Roofing Rosedale Station. You Should Decide on stalwart roofing & exteriors? Here at stalwart roofing & exteriors we look at being a roofing company very gravely. We understand that undoubtably any time folks are shopping for a peerless Calgary based roofing repair service people desire the finest. Continuously we all struggle to really be the slickest roofing company we possibly can be throughout Alberta. It is our commitment to really staying the winner that has gained us all this good esteem with our valued patrons. Being a peerless Calgary based roofing repair service all of us also always attempt to spend time to hear each of our customers concerns with extreme patience and with absolutely no judgment. All of us of course spend the time. We think it is extremely important to ensure clients feel really valued and of course cared for. Now there truly are not a lot of roofing company which possess the exact skills combined with background to identify theirselves as being innovator inside their market. Incorporate that along with a superior degree of purchaser support and we feel we're absolutely the ideal peerless Calgary based roofing repair service within Alberta. We will be happy to examine all your present roofing company questions in great detail on the phone or maybe by using email in case this is best for you. Following that we shall propose the remedy which best satisfies your current goals. Discover exactly why people describe us as the very best peerless Calgary based roofing repair service! Our loyalty to excellence is quite excessive. In case you're attempting to be a peerless Calgary based roofing repair service or a peerless Calgary based roofing repair service, there is certainly in fact no other option but to really give it your absolute best to excel. Whenever a specified client will require additional effort, we offer that particular buyer further care. Just about anything to make sure they will be pleased with us as a roofing company. Also remember, we assistance virtually all of Alberta, so please give us a call. Our clients have sometimes reported our services as a peerless Calgary based roofing repair service, a peerless Calgary based roofing repair service, a peerless Calgary based roofing repair service coupled with the top Alberta based roofing company you will find! Really this would not transpire unless there is exceptionally diligent work and also commitment to your foundational clientele and the high quality inherent within your product. If you're searching to get a peerless Calgary based roofing repair service, all of us genuinely feel that we really are the right pick. Call stalwart roofing & exteriors to look at the needs you have today! 403 988 6877. For any specific marketplace, knowledge is a crucial factor affecting final results. If you may be searching for a peerless Calgary based roofing repair service, then this is certainly much more correct. As a roofing company, we will definitely convey to anyone in person how the result is actually measured simply by the past experience of the business that you are employing. The substantial level of practical knowledge which stalwart roofing & exteriors offers in being a peerless Calgary based roofing repair service, is certainly just why a person must entrust us for your invaluable needs. Whenever you happen to be wanting to get a peerless Calgary based roofing repair service, think about stalwart roofing & exteriors. Please consult with all of us ASAP. Connect Today to Get a Totally Free Consultation! We can't be beaten. Just don't pay outrageous costs merely because you did not talk to us all. Sure you were given an unbeatable value currently? Why don't you be totally guaranteed? Consult with all of us. You well may simply learn that we're in truth most suitable choice. Many individuals have already. Deciding on the right roofing company to hire is a time-consuming venture. Choose an informed plan. You ought to call all of us with zero requirement to check out on your own if we are truly the perfect roofing company for your situation.